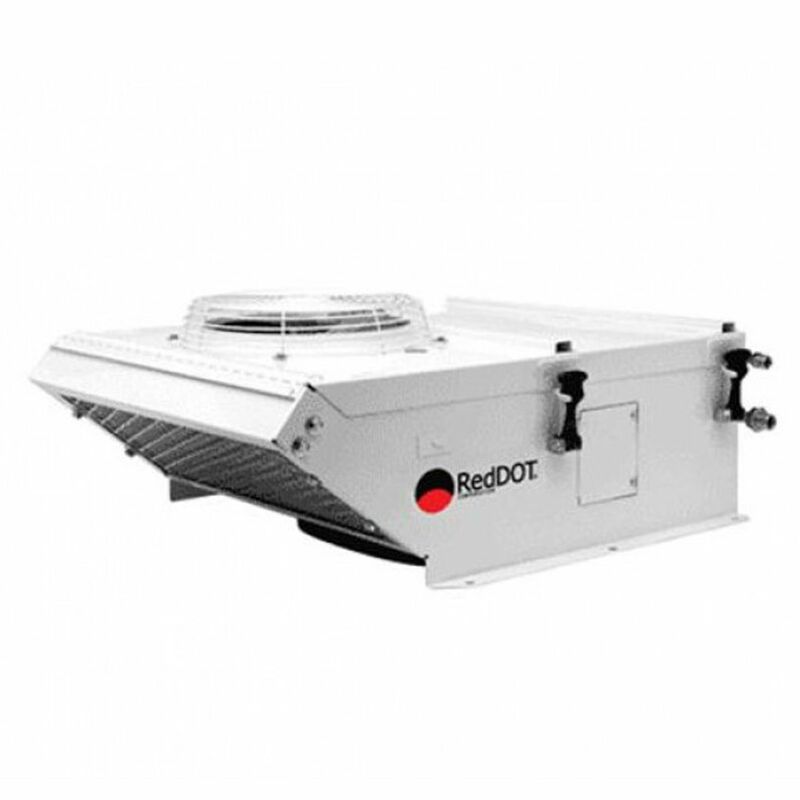 The R-9727 sets the standard for rooftop air conditioners in tough work environments. Renowned for its build quality, reliability, and performance, the R-9727 uses a sealed, long-life evaporator and condenser motor with a slinger ring and hubcap for protection from weather and dust. The heavy-gauge steel casing is gusseted and reinforced for structural integrity. Rubber hood tie-downs unlatch to easily expose the components for service. Options include a hydraulic compressor kit, remote-mount filter, and in-line booster blower for a pressurized, dust free cab.